Last week I almost burned my kitchen down. In my quest to get all the important things done on my list, I was working on several things at once. Although I teach leadership effectiveness for a living, I sometimes get drawn into the busyness of life and slip into bad habits. I put my lunch on the stove, and then went into my office to answer a couple e-mails while simultaneously making an important phone call. I was so engrossed (and overloaded), that I completely forgot about my lunch. Mushroom kale soup bubbled over the stove, and onto the floor. As I was on the phone, I started to smell something burning from the kitchen. Sometimes I need a painful lesson to remind me of the importance of good leadership habits. 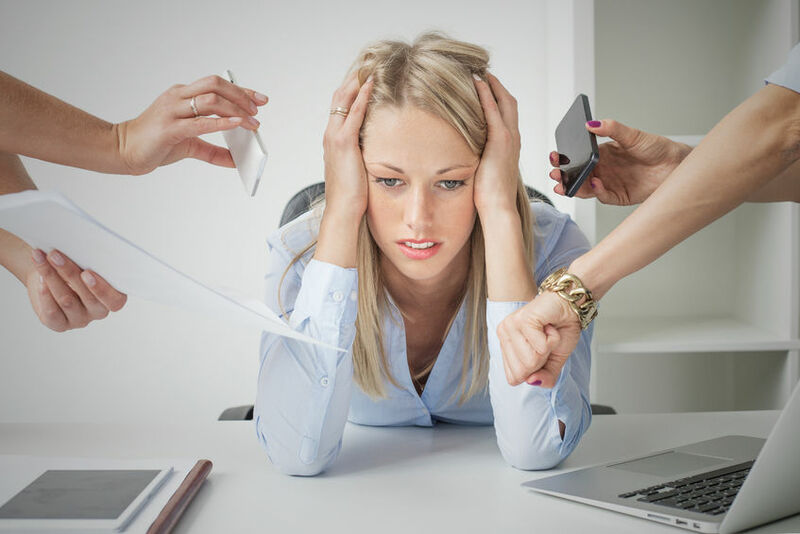 Despite what most leaders think, multi-tasking is overrated. We convince ourselves that we have so much to do that it’s the only way to get things done, but it has the opposite effect. Our attention is drawn in so many directions, that we end up doing a few things poorly (i.e., a soupy kitchen and an interrupted phone call) than doing one thing really well. Quality always suffers when we multi-task. I often hear clients talk about multi-tasking like it’s the sought-after skill that will help them get more done in less time. I even see “ability to multi-task” in most job advertisements. We have become obsessed with trying to squeeze as much as possible into each minute of our day in the unrealistic quest of being perfectly efficient. Remember the days before iPhones, Facebook, and e-mail? When you left work, you actually left work at the office. Technology is meant to make our lives easier, but that’s not what happens for most professionals. We feel more stressed and overwhelmed than ever. We can’t seem to pull ourselves away for a mental break. 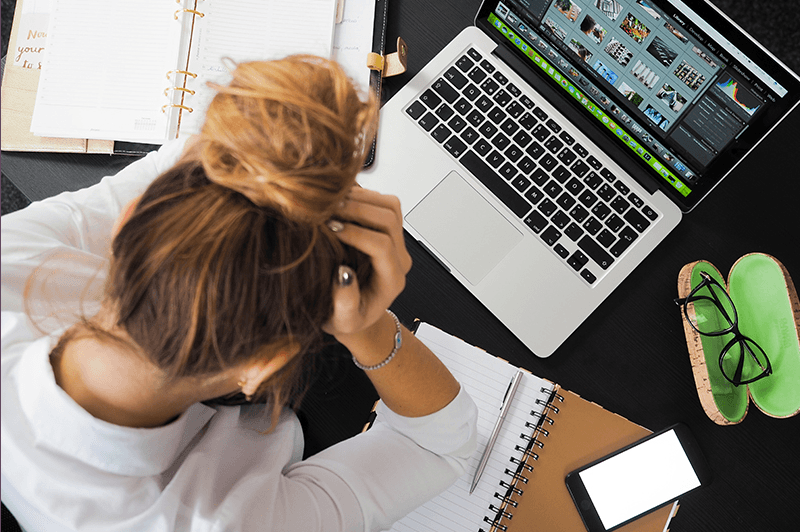 Have you ever left your office at the end of the day and thought, “What did I get done today?” If you can’t pinpoint what you accomplished, you probably spent a lot of the day multi-tasking. One of the best things professionals can do to boost performance is to focus on one thing at a time. Concentrate on one task at a time. Block out a specific time in your schedule to focus on one project. 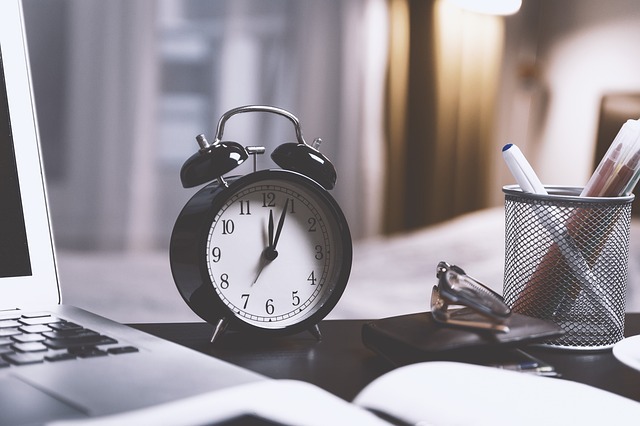 Make it a habit of scheduling your entire work day in chunks of time meant for focusing on specific tasks and projects. Check e-mail only a few times a day. Turn off your e-mail and message alerts so they won’t distract you when trying to focus. Schedule a few specific times in your day to check e-mail and messages and focus only on that task. Say no and simplify your life. You don’t have to volunteer for everything. Pick a couple things you really enjoy and do them well. When you are asked to take on a responsibility, tell the person you will think about it and get back to them. Change your scenery. Most professionals I know can’t get much done in their office because that’s where most of their distractions are. Find a quiet conference room or go to a local coffee shop to get away from distractions and you’ll improve your focus. Focus on two or three accomplishments a day. Executives often make a list of ten or fifteen things to accomplish in one day. We become too overwhelmed because our expectations are unrealistic. Pick two or three important tasks for the day and focus on accomplishing them (and doing them well). If you finish early, then you can move on to another task. Delegate tasks and projects others can handle. Most managers I’ve worked with don’t use their employee resources effectively. They either feel they don’t have the time to teach employees or that their staff will resent them for piling on more work. The truth is, most employees enjoy the challenge and want to help their boss. Keep only the major initiatives you must be involved in, and delegate other tasks. I’ve seen huge improvements in my efficiency and quality of work when I focus on one thing at a time. Learning to eliminate multitasking from your life is a work in progress and will take some time. But with practice and focus, you will feel less stressed and more accomplished. On a recent Wednesday night, I was attending a parent association meeting at my children’s school to talk about upcoming events. These meetings have historically run long; sometimes going until 9:30 p.m. or later. I go to bed at 9:30 on weeknights, so the day after these meetings, I always wake up feeling tired and sluggish. Before long, these meetings were negatively impacting my week. I realized I have a choice in this situation—I could continue staying until the meeting ends and feel tired and frustrated each time, or I could come up with a better solution that worked for me. So instead of feeling obligated to stay until the end of the meeting, I created a boundary: for weeknight meetings, I would leave by 8:30 p.m. No exceptions. I let the president of the parent association know ahead of time, and at the next meeting, I collected my things at 8:30, said goodbye, and headed home. Boundaries are an essential part of leadership. Without boundaries, our days become a haze of activities without any focus. We end up feeling busy all day without accomplishing anything of value. Are there any boundaries you need to create in your life? Boundaries allow you to focus and work at your peak. The purpose of boundaries is to protect your time and energy so you can work at your best. So you can be your best. When you don’t have boundaries, everyone else’s emergencies become your emergencies. You find yourself reacting to everyone else instead of focusing on what is important to you and your success. No work after 6:00 p.m.
You may be thinking; does she have any fun? Yes, I do. What these boundaries do is ensure that my energy is at its peak. I facilitate leadership programs and speak in front of people at least three times a week, and feeling rested, energized, and at the top of my game is vitally important for my business and the results my clients get. Having a glass of wine on a Tuesday night may not seem like a big deal, but it results in me not sleeping as well that night and feeling groggy in the morning, which undermines my performance. That boundary is a structure I use to keep myself at my peak. Having structures also cuts down on the decisions you have to make, which frees up mental space and energy. As humans, we make thousands of decisions every day—everything from what to wear to who to hire. Having boundaries and structures in place keeps you from having to make simple decisions that drain your energy. Some CEOs create structures to simplify their lives as much as possible. Mark Zuckerberg, CEO of Facebook, and Don Tyson, former CEO of Tyson Foods, wear the same outfit every day, as did the late Steve Jobs. This is one less choice they need to make each day. An important part of leadership is being able to keep yourself—and your team—focused. In today’s world, it’s challenging to keep your mind focused on what’s important. Without boundaries, you end up wasting your hours and ultimately your days. Developing boundaries creates the structures you need to keep your leadership—and your life—on track. My husband and I recently finished a two-week health detox that requires eating all healthy foods and eliminating caffeine and sugar. The first few days were tough (I love cappuccino’s and chocolate! ), but about three days in, we felt better and healthier. The cravings started to disappear, and we felt more energized and in control of our eating. Just like many people slip into bad eating habits around the holidays, many leaders slip into bad habits as their days get busier and to do list gets longer. All of the daily meetings, projects, deadlines, and people challenges can feel like you are just trying to stay above water. If you are feeling a bit off track (or a lot off track) with your leadership and your goals, perhaps it’s time for a leadership detox. In February and March, I am facilitating a complimentary breakfast and workshop to help you rid any negative leadership habits and leave you feeling more energized and focused so you can lead your team to exceptional results in 2018. Join us for breakfast, networking, and this interactive session that will leave you feeling more clear about how to have a successful year. It’s a new year—a fresh start, a new page, a time for renewal and new commitments. It’s an exciting time to improve oneself and set high hopes for the brand-new year. Or is it? Do you find yourself feeling more melancholy than excited in the beginning of January? At the beginning of last year, I noticed that instead of feeling motivated and excited for the fresh start, I felt…blah. Not so inspired. Not so motivated. I couldn’t figure out why I wasn’t swept up in the new year rush of positivity. Upon reflection, I realized that below the surface I felt pressure and anxiety. It was only day three of the new year and I already felt like I was behind; that I wasn’t seizing each day to its fullest to get a jump start on the year. I also felt pressure to make this year better than the last. All of these feelings impacted my normal positive outlook and sent me into a three-week funk. Instead of feeling hopeful for the year, I felt pressure to make it better than the last. Not exactly a great way to start the year. Looking back a year later, I had my best year ever in 2017. Even though I didn’t feel enthusiastic at the beginning of the year, my habits eventually overtook my fears and helped me to make progress over the year before. If you feel a bit of dread this time of year, you are not alone. Starting the year feeling less than enthusiastic doesn’t have to negatively impact your year. You can have a fantastic 2018 and make it your best year yet. Success speaker Tony Robbins says that most of us overestimate what we can accomplish in one year and underestimate what we can accomplish in ten years. The traditional new year “resolutions” are rarely successful. It’s been reported that only 8% of people actually stick to their resolutions. The definition of resolution is “a firm decision to do or not to do something”. It takes an enormous amount of discipline to completely stop doing something or to commit to always do something. A better approach is to set goals. The best goals are specific, measurable, and future focused. By keeping the language future focused, it keeps you in a positive mindset and empowers you to work toward the goal. I’ve learned over the years that fewer goals empower me to actually stick to them. When I have a list of 10 goals, I end up focusing on what I’m not accomplishing than the progress I’m making. I try to keep my list to four to five goals. If I accomplish even half of them, I have made progress over last year. Slow down to speed up. The most common cause of overwhelm is a lack of clarity. If you come into the office on Monday and don’t have clarity around the most important things you want to accomplish, then you will probably start by checking your email, and an hour later find yourself on YouTube watching a cat video. When we don’t have clarity, we procrastinate and whittle our time away doing insignificant things that don’t contribute to our goals. The same is true for annual goals. If you don’t have clarity, you will spend a lot more energy multitasking (which doesn’t work) and not get very far. You will start the year off busy—running from meeting to meeting, putting out daily fires, trying to keep your inbox below 500 emails—and six months later find yourself wondering where the first half of the year went. To gain clarity, slow down to speed up. Meaning, slow down to clarify your goals, and once you have clarity, you will be able to accomplish your goals faster and easier. Clarity allows you to not expend unnecessary energy overwhelmed by your to do list of over 30 things, and instead allows you to focus intently on important tasks that will lead you toward more success. One of the top resolutions people make each year is to get in better shape. Most people approach this by resolving to exercise regularly and eat healthier. 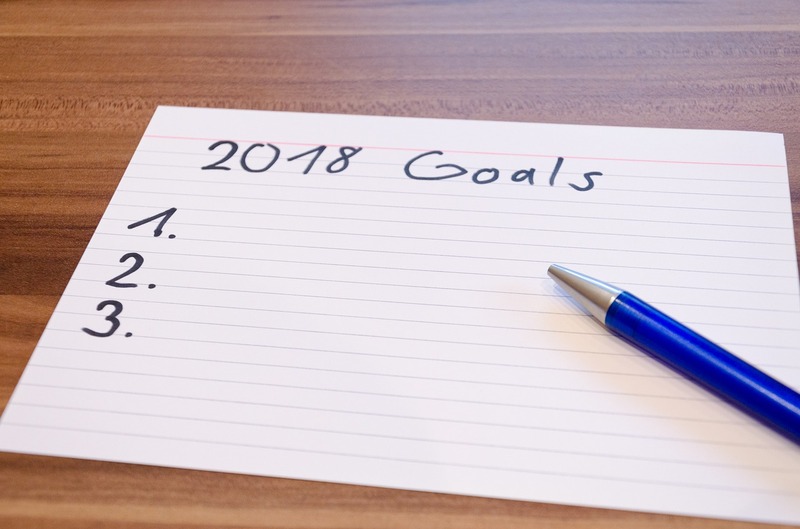 These are lofty goals (they are on my list almost every year), yet the challenge can come when we set our expectations too high. Most experts would say that you should commit to an ideal workout schedule from day one. In my experience, this becomes overwhelming and does not feel sustainable. If you haven’t worked out consistently over the past year and then create a goal for working out four times a week, you can quickly become demotivated. It may be against conventional wisdom, but ease into your goals. Create a goal that is realistic for you, yet will also motivate you to continue. For example, perhaps the first two weeks you set a goal to work out twice a week and then increase it to three times in week three or four. Easing in allows you to adjust to your new way of living so it doesn’t feel so abrupt. If you are someone who can create a lofty goal, jump right in, and never look back, then do it! Do what works for you. For the rest of us (the 92%), easing in is much more sustainable. This one strategy can be a game changer for achieving your goals this year. I started using this strategy about four years ago when I ended the year feeling totally exhausted and depleted. I had a really busy year in my business, and had failed to plan a vacation. I remember opening my calendar mid-year looking for a week I could schedule some time off, and there wasn’t one week without appointments or commitments for the rest of the year. I pushed through that year with very little time off and promised myself I would never have a year like that again. At the beginning of the next year, I sat down one day and planned the most important things in my life and scheduled them in my calendar—the doctor appointments, vacations, blog writing days, conferences, school activities, and dates with my husband. I call this reverse planning because it’s the reverse of what most people do. Most of us go about our normal work and then try to fit in the important things later. That rarely works. Planning ahead and being deliberate with your time will ensure the most important things are scheduled. Two important things for leaders to reverse plan are coaching sessions with your employees and strategy days (days you devote completely to strategic goals). Now is the time to schedule these important events before your calendar fills up. One of my business mentors, Dan Sullivan, says one mistake most of us make in measuring our goals is that we measure forward instead of backward. Let’s say at the beginning of the year you weigh 150 pounds, and you set a goal to weigh 135 pounds by June 30th. On June 30th, if you weigh 140 pounds, you technically did not achieve your goal. Most of us will focus on what we didn’t achieve rather than what we did achieve. So, you didn’t achieve 135 pounds, but you still lost 10 pounds! Dan Sullivan calls this focusing on “the gap”. Instead of focusing on the progress, we focus on the gap between what we did and what we wanted to do. Progress is an evolution. Nothing happens overnight. Being human means you will likely hit some bumps throughout the year and fall off the wagon. Maybe you had a weak moment and somehow found yourself eating Nutella straight from the jar (I confess), you miss your workouts for weeks in a row, or you haven’t had coaching sessions with your employees for months. You can spend your energy ruminating on your failures, or you can forgive yourself, get back up, and do better tomorrow. After years of ruminating, I have found forgiveness to be much more pleasant. There are two books I recommend to inspire you to achieve your goals this year: The Compound Effect by Darren Hardy, and The Slight Edge by Jeff Olsen. Small steps throughout the year lead to big results. Every choice we make either leads us toward what we want or away from what we want. Don’t underestimate the power in the small daily choices. The holidays are upon us, and if you’re anything like me, you are already overwhelmed trying to keep up with work while you prepare for holiday parties, find those perfect gifts, get the holiday cards out, and bake four dozen cookies for the school holiday program (my deadline is Friday). Beyond all the stress there is also anticipation and joy that this season brings as we spend time with those we love and feel grateful for all that we have. If you’re a leader at work, you may be planning a holiday lunch or party, getting some gift cards for your staff, or exchanging gifts. 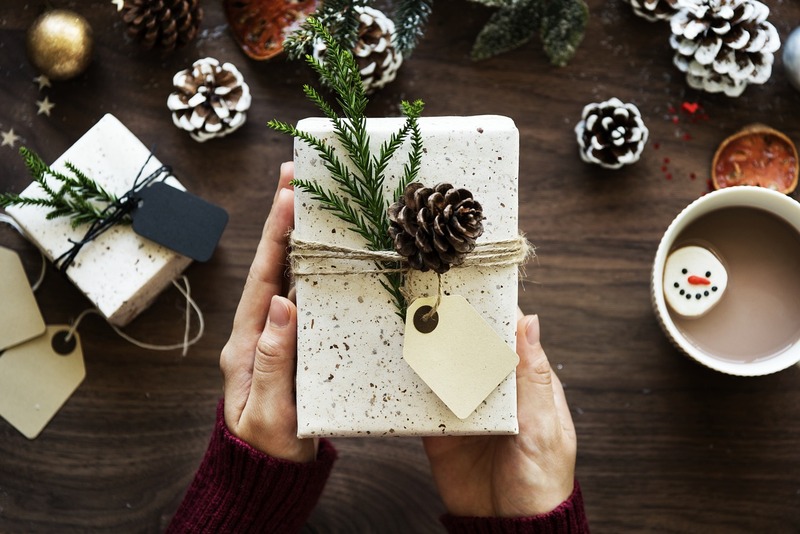 But there is often one overlooked gift that you can give your employees that will have lasting effects and make a bigger impact than those Starbucks gift cards and holiday treats. It’s the gift of time. Leadership is not a passive process. Great leadership requires action. In this season of gratitude, one of the best things you can do as a leader is to display your gratitude toward each and every one of your employees. The gifts and staff lunches are nice, but what employees truly want and need is your support, feedback, and undivided attention. In our busy world, it can be tough to find enough space in your calendar to take a lunch break let alone meet with each of your employees. Yet spending individual time with each staff member is the job of a leader. One of the most important areas of focus as a manager should be coaching and developing your employees. Exceptional leaders support their employees by coaching them through challenges, providing feedback, and discussing professional goals. In a recent Gallup poll, 87% of Millennials said development is important to them in a job. Take each of your employees to lunch or coffee to talk about their personal and professional goals. The end of the year is the perfect time to “take the temperature” of your relationship with each employee, and how they feel about your credit union. This means finding out how the employee is doing, and identifying any challenges or issues that may be impacting the employee and his performance. Many organizations wait until someone leaves before they ask questions about how employees feel about their manager, their benefits, and the culture. A better approach is to conduct a “stay” interview. Asking your employee questions like, “What will keep you here?” or “What can I do as a manager to better support you?” will give you valuable information on how to keep your top performers, as well as strengthen the relationship. Here is an article with more information on how to conduct a stay interview. This is such a simple concept, yet most leaders don’t take the time to do it. Feedback is a gift for your employees. Meaningful feedback is specific information that will help the employee to improve his performance. If your boss had information that would help you to perform your job better, would you want her to tell you? Of course you would. And so do your employees. They are probably not standing at your door asking for it, but they want it and they need it to progress to their professional goals. And make sure the feedback is meaningful. Saying to an employee, “you’re doing a great job” may make her feel good, but it doesn’t give her any useful information. It’s very simple, yet very powerful. Every employee wants to feel acknowledged and appreciated for the work that they put in. Yet most leaders fail to say the simple words, “thank you”. Thank you for your dedication to that project, thank you for coming in that weekend to help fix the server issue, thank you for always being here and supporting our team, etc. Gallup’s latest workforce report revealed that only 33% of U.S. employees are engaged. Appreciation and acknowledgement have a significant impact on engagement and productivity. In the midst of your holiday preparations, one of the best things you can do to prepare for a fantastic year ahead is to spend meaningful time with your employees. The extra effort will ensure a great start in January and an exceptional year overall. Wishing you and your family a happy holiday season! Right out of college, I worked in the IT department as a help desk representative for an insurance company in upstate New York where I grew up. I was the person you called if you had a computer problem, forgot your password, or couldn’t get your macros to work in Word Perfect. I didn’t really know much about leadership or managing, but from the outside, it looked pretty cool. Better pay, better title, a nice office, and more authority. It seemed pretty straight forward, and a nice reward for doing good work. It seemed that when you become a manager, you finally made it. One day my boss told me he was going to hire another representative to help me, and that this person would report to me. Four weeks later, I became a manager for the first time. I had no idea what I was doing. I quickly figured out that management wasn’t so straight forward after all, and frankly, not as fun as I had imagined. As leaders, we need to give people a peek behind the curtain of what leadership really is; before they become leaders. Perhaps then we will begin to fill leadership positions with people who want the job for the right reasons; to serve others and make an impact. Here is what I would share with potential leaders before they make the leap. Before you decide, allow me to give you a peek behind the curtain of what being a leader is really like. Because I can tell you for sure, that the fantasy of leadership and the reality of leadership are very, very different. If you are a leader, here is what you have in store for you. And by all means, this is not an exhaustive list. Meetings, more meetings…did I mention meetings? In short, effective leadership is no walk in the park. Your focus is people, not things, and people can be complicated. Employees are motivated differently, they all have different personalities, and not everyone will share your work ethic. Your job will be to bring out the best performance in each individual employee to reach the strategic goals of the organization. This may not sound complicated, but many days it can feel like trying to run a marathon when you haven’t eaten or slept in days. True leadership is about service; it’s serving your employees by developing them and helping them reach their highest potential and personal goals. It’s serving the organization by contributing your best to achieve the goals. It’s serving the membership by having their best interest in mind and helping them achieve their financial dreams. Of course, there are many rewards in leadership; it’s not all challenges and meetings. But those feelings of accomplishment and fulfillment can sometimes be overshadowed by the daily grind of leadership. Rarely will someone be standing at your door patting you on the back for a job well done. Leadership should be a decision, not a given or the next step for your technical superstar. Employees should know what the position really entails before they commit to leadership. Leadership is a privilege and a huge responsibility. And as organizations, we need to let people know what to expect—what their days will really be like—when you become a leader. If you’re like most leaders, you spend your days rushing around dealing with emergencies, challenges, meetings and emails. Your days seem like a blur, and you struggle to articulate what you accomplished in your 10+ hours at the office. This may be the norm for most leaders, but it doesn’t have to be. 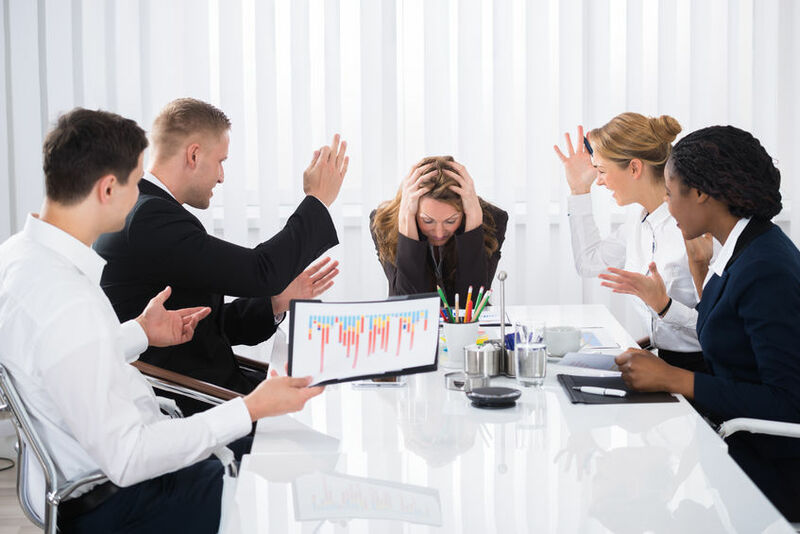 One of the biggest challenges leaders face at work are interruptions. 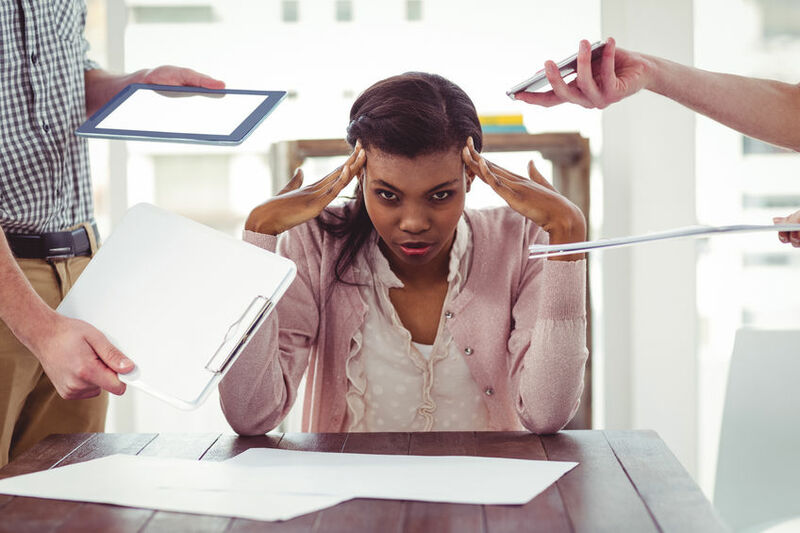 Whether it’s phone calls and texts, emails pinging all day, or employees dropping in for “a quick question”, these interruptions take a serious toll on your productivity. Experts say the typical office worker wastes 40 to 60 percent of their day on interruptions. And even if your interruptions don’t involve people, there are a plethora of distractions that impede getting real work done. As an entrepreneur, my office is in my house. There are no people there during the work day, but there are dishes in the sink, toys on the floor, and papers to be filed. Even looking at these distractions hinders my focus and concentration. When I have a big project or an article to write (like this one) that requires me to focus, I often go to a coffee shop so I can get in the zone and not get distracted by non-urgent things pulling at my attention. Ironically, the buzz of the coffee shop also helps my concentration and focus. I get more done in two hours there than I do all day in my office. I believe your office is one of the worst places to work, because everyone knows where to find you! Below are four strategies for reducing interruptions so you can get real work done. Close your door. In the age of the “open door policy,” closing your door may seem bold. But let me assure you, you cannot be productive with your door open all day. Most organizations have taken the open door policy to the extreme, thinking that having your door open all day sends the message to your employees that you are a great leader. Employees want leaders who are approachable and supportive. They don’t need you to be available every second of the day. Frankly, most employees would welcome you to close your door once in a while so they can focus on their work without their leader watching every move. I’m not suggesting you close your door all day, every day. But blocking out two hours a day to close your door and focus will increase your productivity dramatically. One of my clients created signs for their team members that says “Brilliance at Work”. When an employee needs some quiet time to focus, they put this sign on their door or cubicle to signal that they are in the zone, so don’t interrupt. Silence your electronics. It’s not a novel idea (or is it? ), yet so few leaders practice it. Part of what drains productivity is the time it takes to recover after an interruption. Even that email notification that you glance at for a few seconds breaks your concentration. Studies show it can take up to 25 minutes to the return to the original task after an interruption. It’s a wonder how leaders get anything done at the office. Multi-tasking has been proven to not be effective and actually hurt productivity, so the best way to get real work done is to sequester yourself and turn off your electronic devices. Even if you do this once a day for an hour, you will see a dramatic increase in your productivity. Start your meetings by articulating the purpose. How many meetings do you attend each day that are a waste of time? Usually it’s because you are trying to do too many things in one meeting. A best practice is to identify the purpose of that specific meeting, and announce it at the beginning of the meeting so everyone is on the same page. This keeps the meeting focused and on track. An example might be: “The goal of this meeting is to review the three proposals we received and decide which company we will partner with”. That’s much different than just starting the meeting and going off on several tangents that just wastes time. You can cut out useless follow up meetings by making the first meeting productive in the first place. Less meetings equals more time for real work! What might your next step be? These questions put the ownership back on the employee and require her to think about how to approach the situation herself. If you continue to coach employees around tasks they can handle themselves, you’ll start to see a reduction in the interruptions as they learn to think for themselves. Effective leadership requires that you get results. To get results, you need time to focus on real work, not just the typical office “emergencies”. To be a successful leader, you have to take charge of your productivity, because no one else will. I’d love to hear from you. What are some ways you reduce interruptions so you can get real work done? Have you ever felt so overwhelmed that you want to crawl back under the covers, eat a pint of ice cream, and watch Friends on TV all day? I had a moment like this last month when I overextended myself and felt swamped with all my commitments. I was flying back from California after traveling for business, and felt a wave of panic as I thought about the week ahead. I had a week full of clients, a speech to present that Friday, and my kids had a slew of activities. I had also volunteered to be Vice President of the Parent Association at my children’s school earlier that year, and I was in charge of the spring fair event that was to take place the next weekend. We were getting ready to have pictures taken to put our house on the market, and on top of all that, I had volunteered to lead the new website project at the school as well. I was overcommitted, overwhelmed, and completely stressed. I’ve always prided myself on being able to balance so many projects and commitments. I’m great at managing my time and juggling multiple responsibilities. But there was a precise moment that week when I reached a breaking point. I had no balance. I stopped exercising, I was staying up late, and wasn’t eating healthy. I felt anxious all the time, and didn’t feel like I had a moment to even breathe. My mind was so overwhelmed with what I had to do, that I felt paralyzed and couldn’t think straight. I had no space in my schedule for at least three weeks, and felt depleted and exhausted. My husband gently reminded me that perhaps I couldn’t do it all, and needed to make some choices about what I could reasonably accomplish. The answer was clear to me in that moment: I needed to resign from vice president of the Parent Association. Saying no is hard for me, but I realized I needed to put boundaries in place to gain my time and energy back. That one decision took a huge weight off of my shoulders. Although on some level it felt good to be a part of so many things, it was at the expense of the bigger picture. Being overtaxed was in direct conflict of my values. Particularly the time I was investing in my children’s school. I was making a big impact for the school, but at the expense of my own personal impact. The time and energy I was spending volunteering could be channeled into my family, my business, and my health and make a bigger impact in my own life. I’m sure you’ve had an experience like this. You say yes to so many things because you are a leader. You are a leader at work, in your life, and in your family. You want to serve; to be involved, make a contribution, and get things done. And maybe you feel a little bit obligated to contribute your best effort all the time. It was tough for me to admit that I couldn’t do everything, and that I had overcommitted myself. At first I felt like I had failed and that I should be able to handle everything with ease and balance my life perfectly. This experience got me reflecting: why do we feel like we have to do it all? And, is there such a thing as work life balance? There has been a significant change in our society and how we live over the past 30 years. More women are in the workforce and contributing in broader ways. While this is a positive shift, for many women, these changes have added an additional layer of stress since most of us still have responsibilities and commitments outside of work. Even if you have a great partner who shares the responsibilities, there is still a lot to balance with raising children, running the household, getting involved in the community, and working a full time job. And that doesn’t even take into account time for yourself. Simply put: we’ve added several more roles in our lives, and we have the same amount of time to perform them. I often have to remind myself that I have two jobs: running my business, and running my home life. The responsibilities of home life don’t diminish for women who are working outside the home. Most of us walk around each day in a state of stress, and look outside ourselves to place the blame. We blame our boss. We blame our kids. We blame our spouse. We even blame time. But busy is a choice. Overwhelm is a choice. Stress is a choice. It was hard for me to accept that, but I realized that I have choices in how to spend my time. I don’t have to say yes to everything, and I am ultimately responsible for my life experience. Although we may want to do everything, and do it all well, when there is an abundance of things to do and only so much time, there has to be tradeoffs. It’s just not possible to do everything and do it well. This creates an enormous amount of stress that bleeds into our work. Leaders who value achievement and impact often have a hard time saying no. We load up on our commitments and fear we may be perceived negatively if we can’t handle it all. And if you are a leader at work, juggling the responsibilities of coaching, developing, and mentoring employees can add to the stress. So what ‘s the solution? I’m not sure this challenge will be solved anytime soon. Most organizations still operate in a bureaucratic manner and struggle to embrace a more modern approach of work life integration. And most women struggle to find a balance between work and home with all their competing roles. But there are small steps that can make a difference. I am much more deliberate about how I schedule my time. I am pausing to consider opportunities and commitments before I say yes. I have hired more help with managing the home because I realize I can’t do it all. I put boundaries in place and don’t accept weeknight commitments that will keep me out past 8:30 p.m. so that I can keep to my 9:30 p.m. bedtime. I am saying no more often. No, I don’t need to accept every play date or have my children attend every birthday party. No, I choose not to volunteer any more time outside of my family. And no, I will not feel guilty for going to yoga on Saturdays. These small steps make a difference, yet I’m experienced enough in life to know that it doesn’t solve the problem. There will be times where I start to feel stressed and overcommitted. I may fall off the wagon and say yes too much. I am a work in progress. I may never manage this life perfectly. But for now: I choose space. I choose calm. I choose to say no. I’ve never been a morning person. Or so I thought. Before I got married, my typical weekday schedule was waking up around 7:30 a.m. and dozing off around 11:15 p.m. as I watched Friends. My morning routine consisted of showering, dressing, and grabbing a breakfast Hot Pocket as I dashed out the door (don’t judge). On the weekends, I would go out with friends or binge watch movies until the wee hours of the morning and sleep until 11 or 12 the next day. When I met my husband ten years ago, my comfortable schedule was interrupted. Rino typically gets up at 4:00 a.m. (that is not a typo). On the weekends, he would wake me up at 8:00 a.m. Before long, I was going to sleep by 10:00 and waking up at 7:00. About two years ago, I was complaining that I didn’t have enough time to myself each day. Rino suggested I start getting up earlier to have some time in the morning. At the time, we had a newborn baby, and two other children under five. The thought of waking up early was not appealing to me, yet I craved some personal time in the day. I decided to experiment with getting up one hour earlier–at 6:00 a.m. That experiment two years ago has turned into a daily habit that has helped me to jumpstart my day and feel calm and productive. I’ve been studying successful people for years, and over and over again, the morning routine turned up as a habit of the super successful. Below are the most common elements in morning routines based on my research of highly successful people. The routines typically last anywhere from one to three hours (for those super early risers up at 4:00 a.m.!) and take place before they even get to the office. Meditation: In his book, Tools of Titans, Tim Ferriss shared that 80% of the highly successful people he interviewed meditate at least once a day. In my research, meditation came up time and time again. Organizations like Aetna, Google, and Apple all offer meditation classes to their employees. Since I pretty much feel a sense of urgency almost every minute of the day, I never thought I would be able to meditate (or at least do it well). I started meditating a year and a half ago, and I have seen an improvement in my focus, patience, and calmness. I meditate most days for 20 minutes in the morning. The bottom line: those who meditate report that they are able to keep calmer and handle the stresses of life better. Prayer or reflection: Taking time in the morning to be grateful, pray, or set an intention for the day is typical for those who are very successful. While this practice was individual to each person, most report that this practice keeps them centered. Personally, I set an intention for my day to go well, and I visualize everything on my schedule, whether a presentation, a workshop, or a meeting, going exactly as I want. I take a pause before each segment of my day and make an intention to be present and connected to the person or people I am with. Planning: successful people are very deliberate about how they spend their time. They don’t rush into the day and let others overtake their schedule. Most successful people report spending some time in the morning planning their day. I recommend taking this a step further and planning your day the night before. This allows you to jump right into your most important priorities instead of wasting time looking at your long task list and feeling overwhelmed (and then procrastinating by going on Facebook, looking at your credit union account, etc.). Pick your top two priorities, and schedule them in your calendar. In the morning, review your priorities list and get into action. Exercise: Many successful people exercise in the morning, reporting that getting it done in the beginning of the day gives them energy and ensures it’s a priority. Check email: you may be surprised that about half of successful people report checking email first thing in the morning (or maybe you are not surprised since it’s the first thing most people do). Most report scanning through their email and not reading or responding to each one. Although most experts advise not checking email in the morning, I find that unrealistic. The point is to not get engrossed in emails and let it derail your day. Be intentional about your time. Although they have common elements, the routines of highly successful people were not all the same, so the key is to create a routine that resonates with you. While these routines took place for most people in my research before getting to the office, you can set up a routine to start your day at work too. Whether it’s reviewing your priorities list, reading an inspirational quote, or making a cup of tea, taking a few minutes to breathe and center yourself in the morning can help you to be more intentional and mindful as you go through your day. I’d love to hear from you. Do you have a morning routine? What practices help you to set your day up for success? Last month I attended an event for professional speakers where a well-known keynote speaker shared ways to create connection with your audience. During his speech, he mentioned the town in upstate New York where he grew up. He grew up only 15 minutes from my hometown, so I was excited to talk with him afterwards. He certainly created a connection with me in that moment. We had something in common. His speech was excellent, and after he walked off stage and the meeting organizer concluded the meeting, I walked up to him and told him how great his speech was and started to tell him where I was from in New York, when…he totally blew me off. He was so busy getting his marketing materials together to put at the back of the room, that he didn’t even make eye contact with me and barely listened to what I had to say as he rushed off. I was disappointed. Not because I had this need to connect with him on a personal level, but because many of the things he had just taught in his speech he was not practicing. I thought the content of his speech was excellent, but the feeling I got from him afterward totally turned me off. In the speaking industry, there’s an unwritten rule that your speech is not really over when you leave the stage. You may have finished the content of your speech, but it’s important to stay connected to your audience until you leave the building. Even when you are not on stage, you are still “on” and your audience is still judging you (for better or worse) based on your interactions. The same is true for leadership. As a leader, people observe your actions, even in the small moments that may not seem to matter. Leadership is a behavior, not a role. Everything you do has impact. 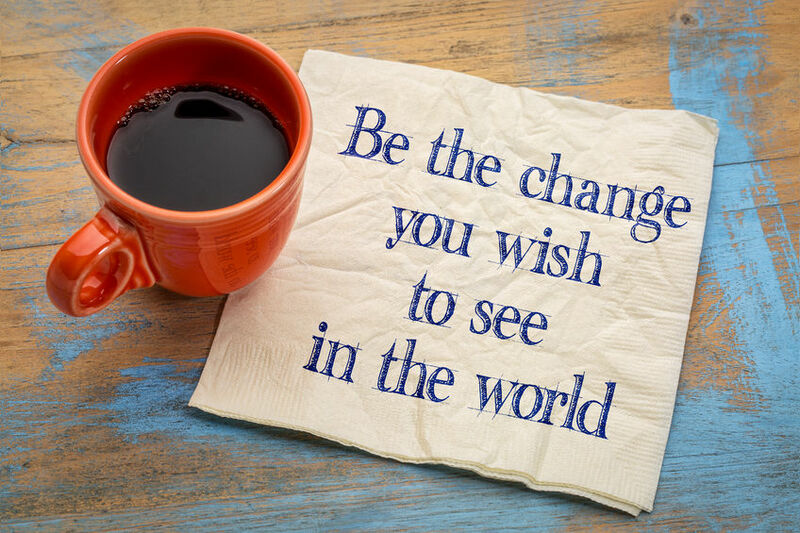 Even when you are working late and only one person is in the office with you, or when you are at the company barbecue, or when you are at a conference out of town, you are having an impact. Just like a speaker isn’t finished when he walks off the stage, you don’t leave your leadership role at the office when you go home at night. Leadership is a practice. We must be mindful that we have an impact on people at all times. Now, I am not saying you need to be perfect. In fact, showing your imperfections allows people to see you for who you are–a human being. People don’t want their leaders to be perfect, they want them to be authentic. You model great leadership by having high standards for yourself, and persevering through your challenges and struggles. Employees follow more of what you do than what you say. That’s why leading yourself is the first step in leading others. If you want your managers to coach their employees, make sure you are coaching your managers. If you want people to show up on time to meetings, make sure you are showing up on time. My husband, Rino, and I were talking several months ago about the characteristics and disciplines we want to cultivate in our three young children. The usual qualities like compassion, generosity, kindness, and confidence made the list. When discussing what habits to instill, Rino said he would like to teach our six year old daughter, Olivia, to make her bed every morning. He feels that making your bed is a small accomplishment each morning that sets the day up for success. Making the bed is taking pride in your environment. People don’t model what you say, they model what you do. It’s not enough to talk about what you want, you must exhibit what you want. Mastering integrity (doing what you say you will do) and authenticity (consistently showing up as yourself) are essential for effective leadership. The small things we do every day can either create trust and strengthen relationships, or chip away at trust and damage relationships. The trust you build can strengthen your integrity and credibility, or damage your integrity and credibility. If you want to change your corporate culture, start by changing yourself. Cultures don’t change, people do. Cultures don’t transform, people transform. When you model accountability, others will follow. You will create the momentum to get extraordinary results. As for me, I’ve started making my bed every morning. Parenting has been my most challenging job to date. It’s not a role I play where I can pick and choose what actions my children should model. They see all of me, the good moments and the bad moments, the good traits and the bad traits. Parenting has forced me to look in the mirror and be more deliberate about my actions. In parenting and in leadership, it’s not about being perfect. It’s about being deliberate. Reflecting on your behaviors, both good and bad, and choosing to be better, one moment at a time.